‘999’ call came into the police from a driver who was stuck in snow. 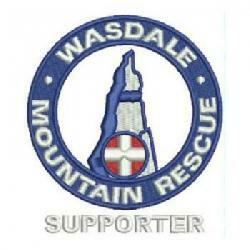 The male and female were initially reported as been stuck on the slip road to the Wasdale YHA. The team leader questioned the situation and the police agreed that there was little advantage in tasking the team and subsequently withdrew the request. However, a second call came into the police from the couple who were very concerned, totally lost and unable to identify any habitation. The team were paged a second time and with this additional information a limited callout was conducted and a landrover with chains dispatched up to Wasdale YHA with three team members on board. However, the stuck vehicle was nowhere to be found. A back up team of six were also on standby at the base if required. The police were asked for more information and when their log was finally sent through, the information put the car on the Birker fell road (some 8 miles from the initial reported position). 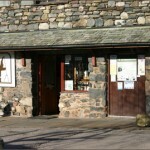 The original message that was passed to the police with accurate grid reference was that they had come off the slip ‘pery’ road on their way to the Wasdale Youth Hostel. With this additional information from the police log the vehicle with male and female occupants was recovered from their off road position and they were safely escorted back out of the valley. They were indeed stranded in an extremely remote location with no lights to walk to, temperatures well below freezing and no outdoor footwear. Nine team members were involved and the incident was closed at 7.45 p.m.